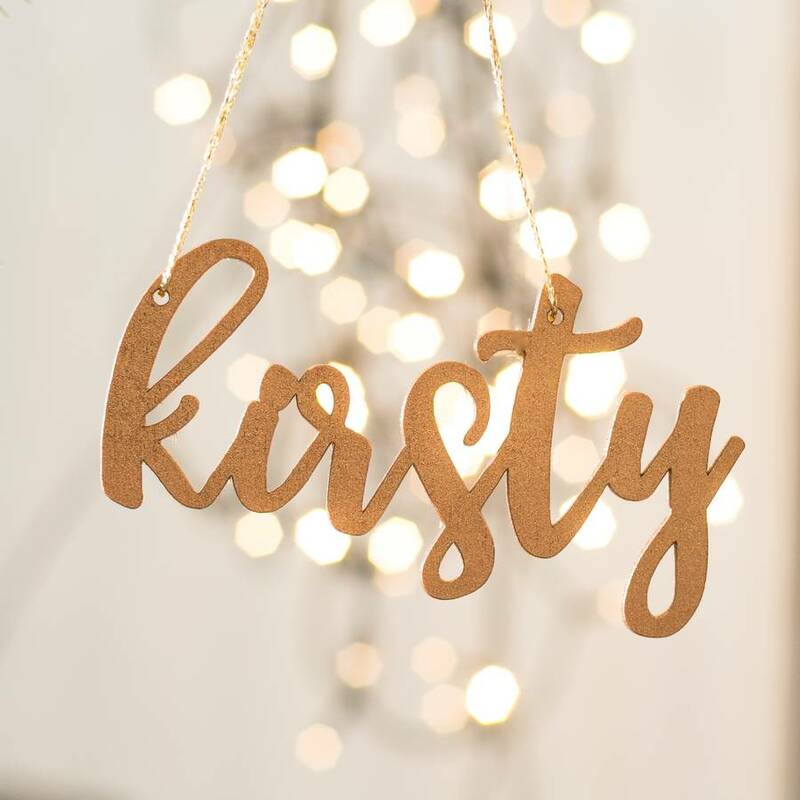 Personalised Copper Christmas tree decorations detailing the names of your nearest and dearest will set the tree alight this year. 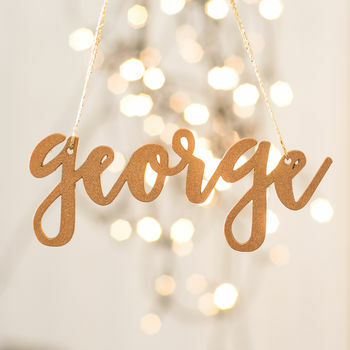 The sparkle and shimmer of these personalised Christmas Tree decorations adds a beautiful finishing touch to the tree. 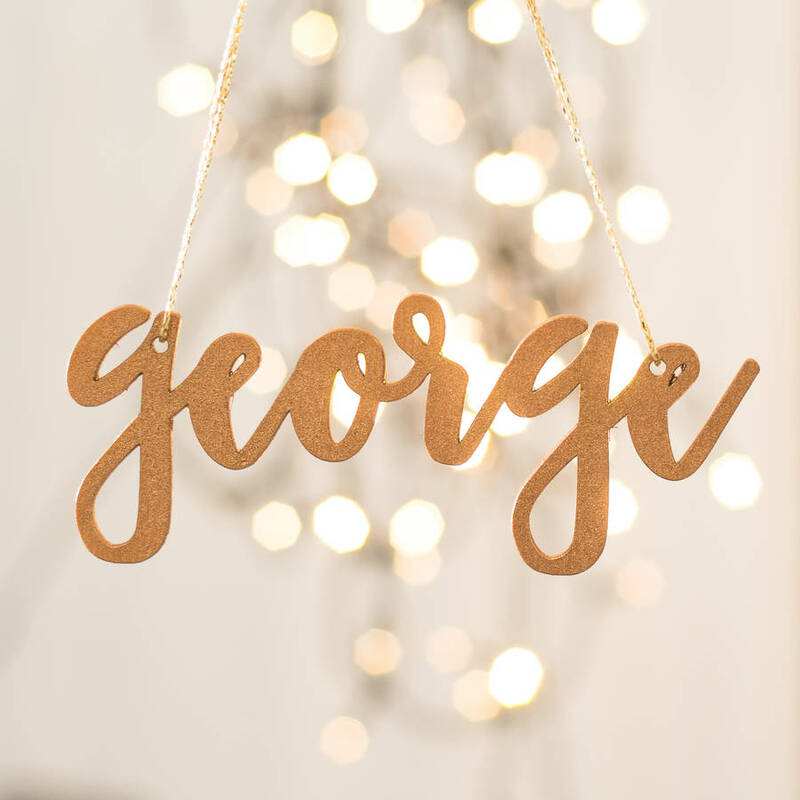 Each name is individually laser cut, painted, and then strung with gold thread before being packed and dispatched from our small workshop on the edge of the Forest of Bowland. 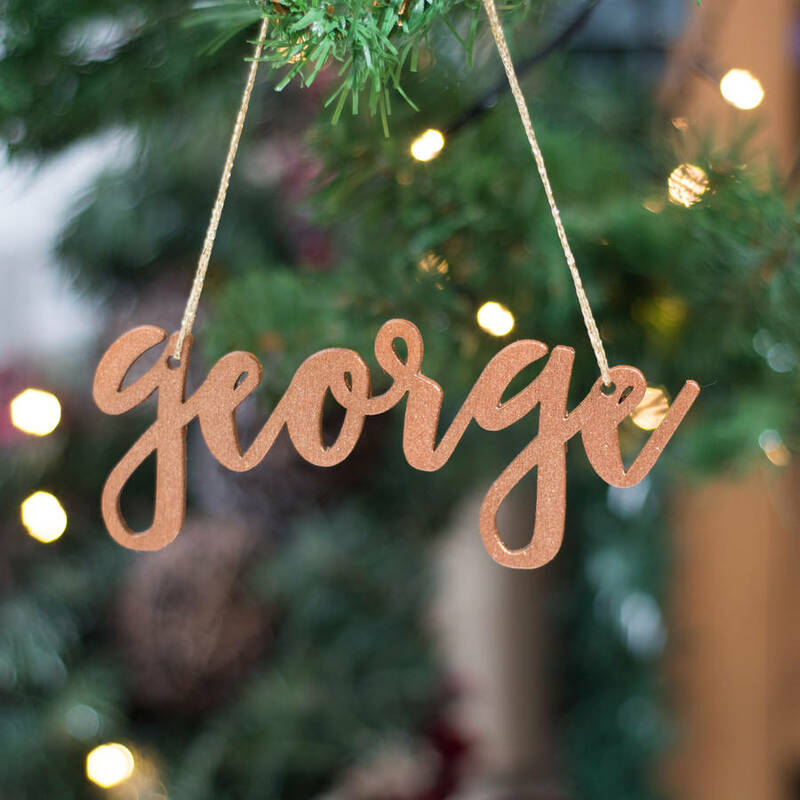 We are going to cover our tree in these this year with the names of all of our lovely family, some who will be with us on the day and some who sadly will not. 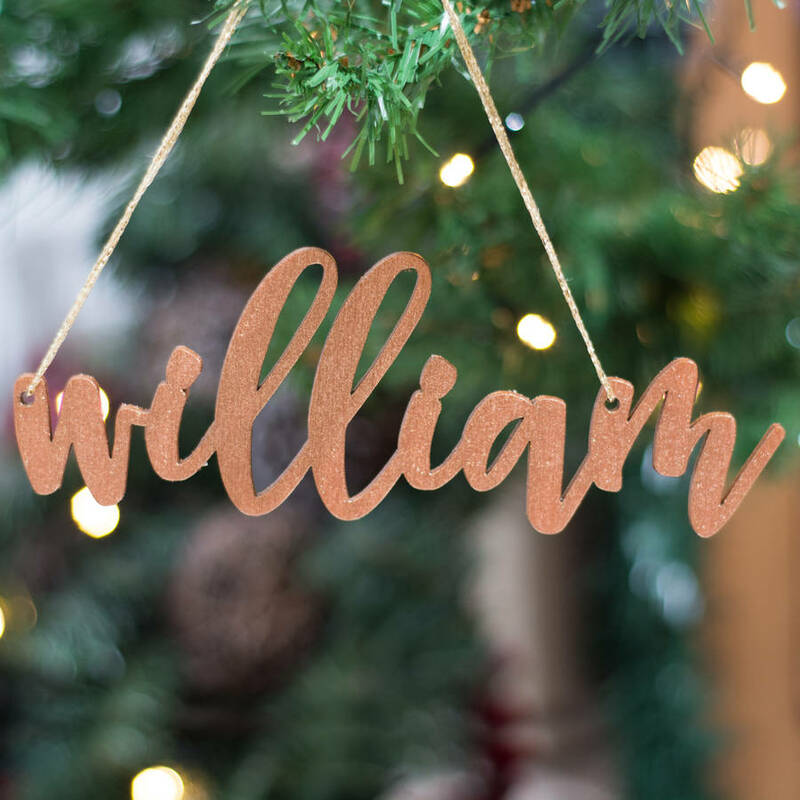 To order simply select the quantity of names you need for your tree, and then complete the personalisation boxes for each name you require. Names need to be individual and just letters. Beech ply, painted with copper glitter spray. Dependant on the length of the name but on average between 6cm high and 10-20cm in length.